Anne Neville was an English queen, the daughter of Richard Neville, 16th Earl of Warwick. She became Princess of Wales as the wife of Edward of Westminster, as a member of the powerful House of Neville, she played a critical part in the Wars of the Roses fought between the House of York and House of Lancaster for the English crown. Her father Warwick betrothed her as a girl to Edward, Prince of Wales, the marriage was to seal an alliance to the House of Lancaster and continue the civil war between the two houses of Lancaster and York. After the death of Edward, the Dowager Princess of Wales married Richard, Duke of Gloucester, brother of Edward IV and of George, Duke of Clarence, the husband of Anne Nevilles older sister Isabel. 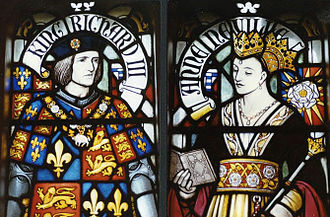 Anne Neville became queen when Richard III ascended the throne in June 1483, Anne Neville predeceased her husband by five months, dying in March 1485. 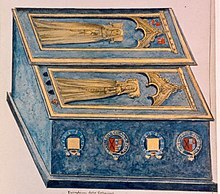 Her only child was Edward of Middleham, who predeceased her, Anne Neville was born at Warwick Castle, the younger daughter of Richard Neville, 16th Earl of Warwick, and Anne de Beauchamp. Her father was one of the most powerful noblemen in England and her grandfathers sister, Cecily Neville, was the wife of Richard, Duke of York, who claimed the crown for the House of York. 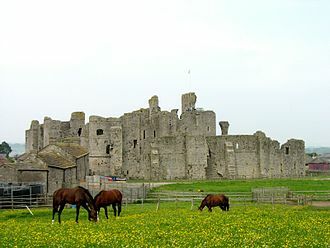 Richard especially attended his knighthood training at Middleham since mid-1461 until at least the spring of 1465 and it is possible that even at this early stage, a match between the Earls daughters and the young dukes was being considered. 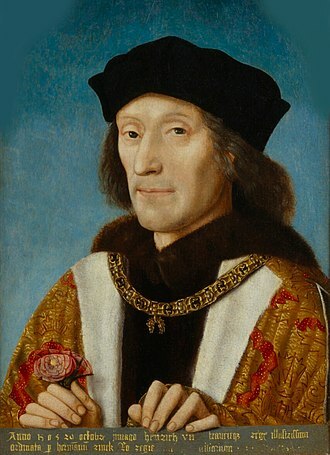 The Duke of York was killed on 30 December 1460 but, with Warwicks help, the Earl of Warwick had been at odds with Edward IV for some time, resenting the rise in the kings favour of the new queens family, the Woodvilles. 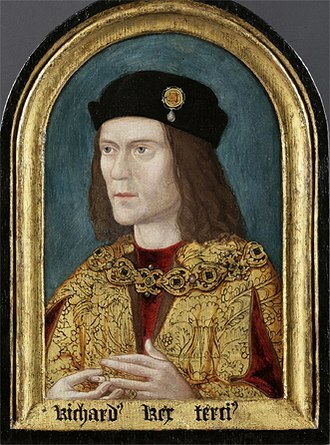 In 1469, the tried to put his son-in-law George on the throne. After a second rebellion against King Edward failed in early 1470, he was forced to flee to France, with King Henry VI imprisoned in the Tower of London, the de facto Lancastrian leader was his consort, Margaret of Anjou, who was suspicious of Warwicks motives. 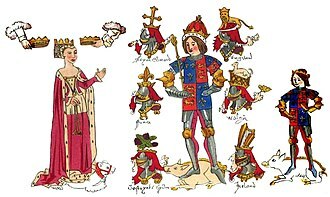 To quell these suspicions, Anne Neville was formally betrothed to the son of Henry VI and Margaret of Anjou, Edward of Westminster and they were married in Angers Cathedral, probably on 13 December 1470, to make Anne Neville the Princess of Wales. Lady Isabel Neville was the elder daughter of Richard Neville, 16th Earl of Warwick, and Anne de Beauchamp, 16th Countess of Warwick. She was the wife of George Plantagenet, 1st Duke of Clarence and she was the elder sister of Anne Neville, who was Princess of Wales, by her first marriage and Queen consort of England by her second. Isabel Neville was born at Warwick Castle, the seat of the Earls of Warwick, in 1469, her ambitious father betrothed her to Englands heir presumptive, George Plantagenet, 1st Duke of Clarence, the brother of both King Edward IV and Richard, Duke of Gloucester. 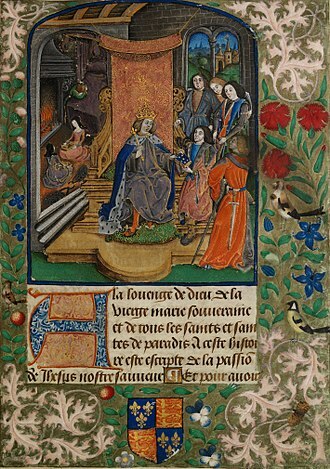 The king opposed the marriage as it would bring the already powerful Earl of Warwick too close to the throne, the ceremony however took place in secret at Calais on 11 July 1469, conducted by Isabel Nevilles Uncle George Neville, archbishop of York. Following their marriage Clarence joined forces with Warwick and traitorously allied with the Lancastrians led by Margaret of Anjou, Isabel Neville married George Plantagenet, 1st Duke of Clarence, in Calais, France, on 11 July 1469. Kettlethorpe is a village and civil parish in the West Lindsey district of Lincolnshire, England. It is situated 10 miles west from the city of Lincoln, the hamlet of Hardwick and the villages of Drinsey Nook and Laughterton lie within Kettlethorpe parish. The population of the parish taken at the 2011 census was 426. In the north wall of the sanctuary is a stone wall plaque to John Reeke. Also in the sanctuary on the wall is an oval marble wall plaque to Rev. On the north wall is a marble wall plaque to Charles Hall. In the north aisle is a plaque to the Cole family, at the west end of the nave are painted royal arms and round the side walls of the nave are 19th-century texts in red lettering. In the churchyard are the remains of a cross, dating from the 14th century with 19th-century restoration, the ecclesiastical parish is Kettlethorpe with Fenton, part of the Saxilby Group of the Deanery of Corringham. The parish church is in Kettlethorpe, as of 2014 the incumbent is the Revd Canon Rhys Prosser. Howden is a small historic market town and civil parish in the East Riding of Yorkshire, England. 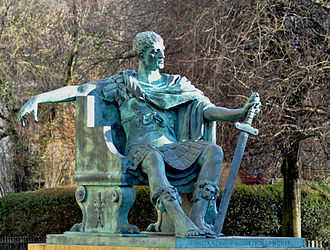 It lies north of the M62, on the A614 road about 17 miles south-east of York and 3 miles north of Goole, William the Conqueror gave the town to the Bishops of Durham in 1080. The wapentake of Howdenshire was named after the town, Howden is situated on the A614, although the town itself has been bypassed. Howden lies close to the M62 and the M18 motorways, nearby to Goole which lies at the side of the River Ouse. The town is served by Howden railway station, which is situated in North Howden and has services to Leeds, York, Howden is surrounded by largely flat land and in some places marshland. 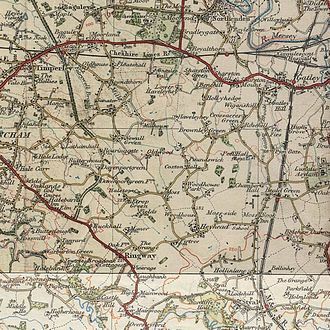 Much of the land surrounding Howden is separated by many drainage dykes, Howden lies within the Parliamentary constituency of Haltemprice and Howden. In 1080, William the Conqueror gave the town, including its church, which became the minster, to the Bishop of Durham. However, he kept Howden Manor for himself, Howdens royal connections continued when in 1191, Prince John spent Christmas in Howden. Nine years later, now King of England, granted Howden the right to hold an annual fair. In 1228, work began on the current Howden Minster, though it was not finished until the 15th century when the chapter house and top of the tower was added by Bishop Walter de Skirlaw. In the 14th and 15th centuries, Howden became a centre for pilgrims because of John of Howdens alleged miracles in the part of the 13th century. The most prolific of these tales was that John of Howden, at his funeral in 1275, as such, he has become regarded as a saint, though the Catholic Church has never made this official. Through the pilgrims, Howden received the money that it needed to complete the minster, Howdens Workhouse From 1665–1794, a site on Pinfold Street in Howden was used as a lodging house for the needy. A workhouse was opened on the site which included a manufactory, stone-breaking yard, cowshed. A parliamentary report of 1776 listed the parish workhouse at Howden as being able to accommodate up to 20 inmates, after 1834 Howden Poor Law Union was formed on 4 February 1837. Raby Castle is near Staindrop in County Durham, among 200 acres of deer park. It was built by John Neville, 3rd Baron Neville de Raby, cecily Neville, the mother of the Kings Edward IV and Richard III, was born here. 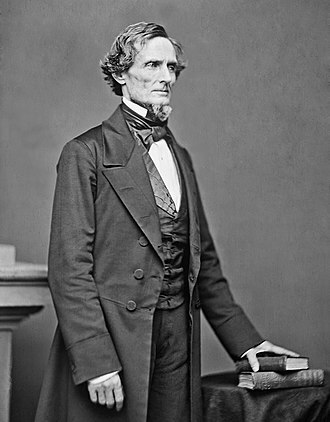 After Charles Neville, 6th Earl of Westmorland, led the failed Rising of the North in favour of Mary, from 1833 to 1891 they were the Dukes of Cleveland and they retain the title of Lord Barnard. Extensive alterations were carried out in the 17th and 18th centuries and it is famed for both its size and its art, including works by old masters and portraits. It is a Grade I listed building and open to the public on a seasonal basis, the castle is still a private home and remains the seat of the Vane family, the Barons Barnard. Due to the 11th Barons dedication to the renovation and restoration works. His heir, John Neville, became a member of Thomas, 2nd Earl of Lancasters household, Raby was the familys caput, their seat of power, and there may have been a fortified house on the site of the present building from around 1300. In the second half of the 14th century the Nevilles began rebuilding several of their properties in northern England, in 1378 Thomas Hatfield Bishop of Durham granted John de Neville a licence to fortify his property at Raby. John died in 1388 and was succeeded by his son, almost nothing of the familys papers survive from this period so there is little documentary evidence of Raby Castles construction. 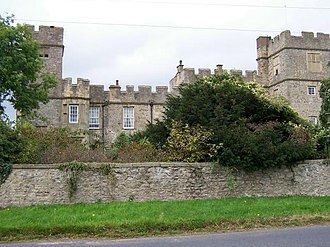 The dating is based mostly on architectural details, in the words of historian Anthony Emery, the work converted it from a defendable house into a palace-fortress. Ralph was created Earl of Westmorland on 29 September 1397 by Richard II as a reward for his loyalty in the face of political unrest. However his familys association with the Earls of Lancaster meant that when Henry Bolinbroke of the House of Lancaster invaded in July 1399 Neville sided with Bolingbroke. 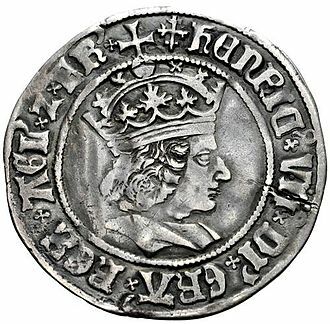 Neville helped persuade Richard II to abdicate and Henry was crowned as Henry IV, Neville was made Earl Marshal of England on the day of Henrys coronation and a Knight of the Order of the Garter in 1403. Lincoln Cathedral or the Cathedral Church of the Blessed Virgin Mary of Lincoln, and sometimes St. Marys Cathedral in Lincoln, England is the seat of the Anglican bishop. 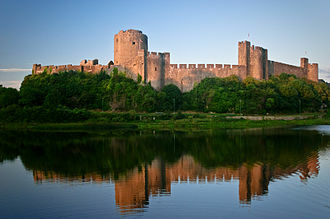 Building commenced in 1088 and continued in phases throughout the medieval period. It was the tallest building in the world for 238 years, the central spire collapsed in 1549 and was not rebuilt. The cathedral is the third largest in Britain after St Pauls and York Minster and it is highly regarded by architectural scholars, the eminent Victorian writer John Ruskin declared, I have always held. That the cathedral of Lincoln is out and out the most precious piece of architecture in the British Isles, laid the foundations of his Cathedral in 1088 and it is probable that he, being a Norman, employed Norman masons to superintend the building. Though he could not complete the whole before his death, winkles, It is well known that Remigius appropriated the parish church of St Mary Magdalene in Lincoln, although it is not known what use he made of it. Up until St. Marys Church in Stow was considered to be the church of Lincolnshire. However, Lincoln was more central to a diocese that stretched from the Thames to the Humber, Bishop Remigius built the first Lincoln Cathedral on the present site, finishing it in 1092 and dying on 7 May of that year, two days before it was consecrated. In 1141, the roofing was destroyed in a fire. 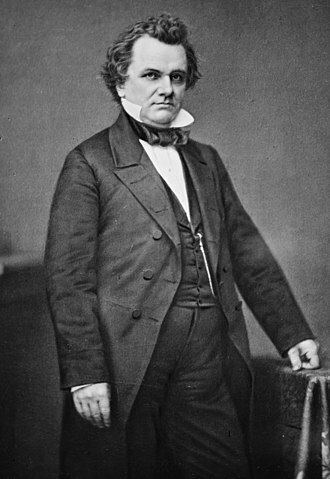 Bishop Alexander rebuilt and expanded the cathedral, but it was destroyed by an earthquake about forty years later. The earthquake was one of the largest felt in the UK, some have suggested that the damage to Lincoln Cathedral was probably exaggerated by poor construction or design, with the actual collapse most probably caused by a vault collapse. After the earthquake, a new bishop was appointed and he was Hugh de Burgundy of Avalon, who became known as St Hugh of Lincoln. He began a rebuilding and expansion programme. Rebuilding began with the choir and the eastern transepts between 1192 and 1210, the central nave was built in the Early English Gothic style. A painting by J.M.W. Turner of Raby Castle and its landscape in the early 19th century. The Walters Art Museum, Baltimore. Middleham Castle, seat of Joan Beaufort, Countess of Westmorland and later her son the Earl of Salisbury. The surrender of Santiago de Compostela to John of Gaunt. Constance is the lady on horseback.